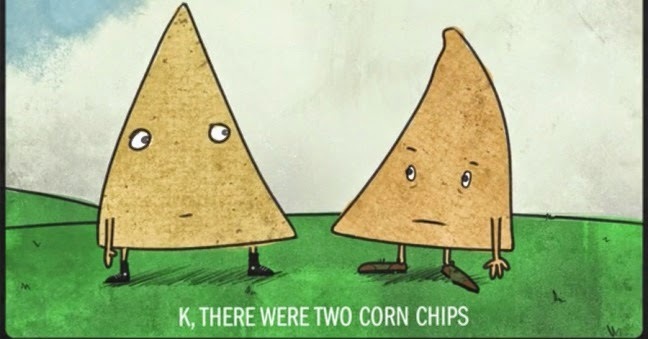 Adam Patch recorded his drunk wife telling a joke about two corn chips and he decided to create a short animated video, using his wife's recorded voice to narrate the story. Watch below the result of his work — it turned out ridiculously funny. What do you think?